November 17 marks two big occasions in the state of Wisconsin: the start of the gun deer hunting season and the holiday craft fairs. 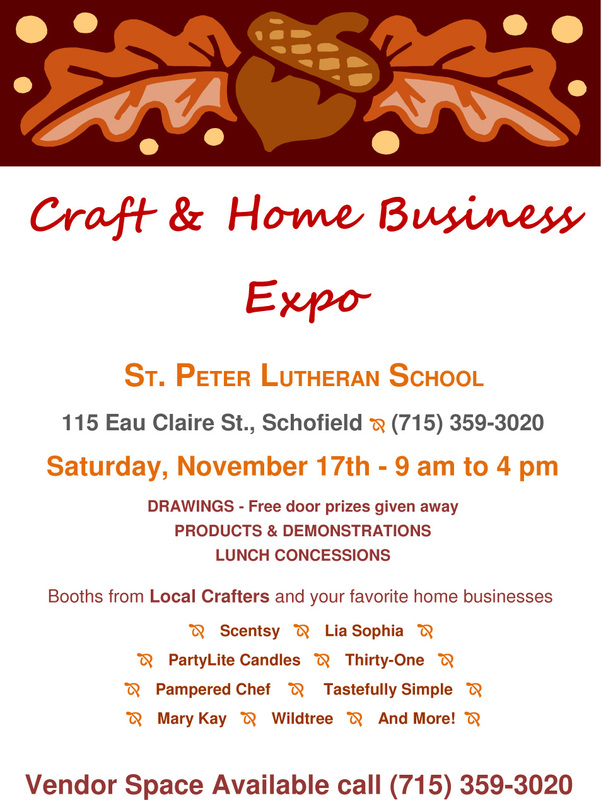 If you’re not the type to venture out into the woods for the trophy buck, then you will certainly want to mosey on down to Schofield for the St. Peter’s school Holiday Craft and Home business fair. 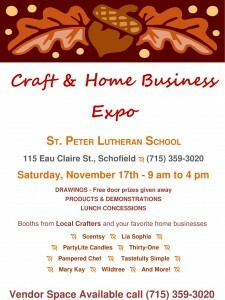 Saturday November 17, St. Peter’s Church and School in Schofield will hold their craft fair from 9:00am – 4:00pm. Drawings – Free door prizes given away, products and demonstrations, lunch concessions and booths from Local Crafters and your favorite home businesses. Originally held at the Key to Life Center in Weston, this year the fair makes a move to St. Peter’s school for additional space and easy access off of Grand Ave. Vendor space is still available, call (715)359-3020 for details.